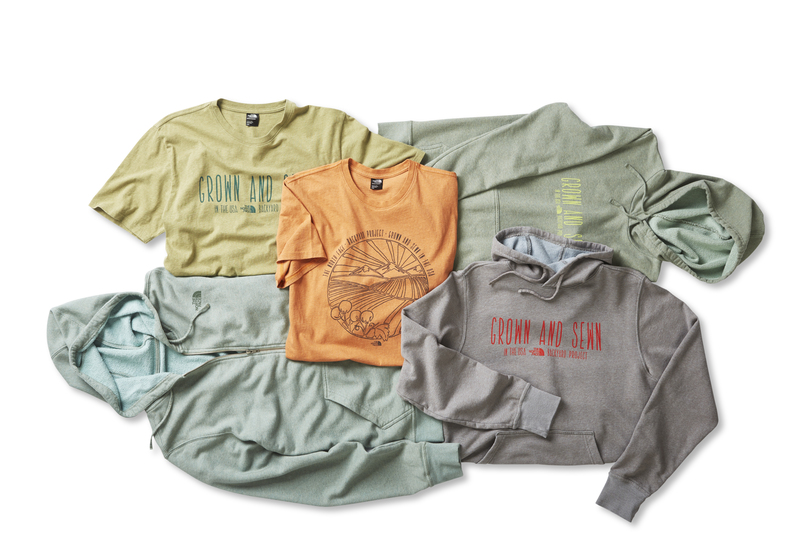 The Backyard Project is now available in seven new styles and more than eight garment-dyed colors in The North Face retail stores and on their website. Backyard is back: @TheNorthFace introduces new "Made in the USA" products, The Backyard Project. More: http://3bl.me/f29gxz. ALAMEDA, Calif., March 1, 2016 /3BL Media/ – The North Face, the world's premier supplier of authentic, innovative and technically advanced outdoor apparel, equipment and footwear, today launches the second installment of its locally produced, Made in the U.S.A. clothing line, The Backyard Project. For this new line, The North Face challenged itself to find ways to expand and scale its pilot project with a goal of increasing both domestic production and impact. The Backyard Project again brought together a collective of farmers, artisans and small businesses to achieve increased production, new styles and colors and a lower price point for consumers. In November 2014, The North Face set out to design its first all-cotton hoodie grown, designed, cut and sewn within 150 miles of The North Face headquarters in Alameda, California. Harnessing key learnings from the inaugural capsule collection, this year’s Backyard Project has significantly scaled in quantity and style, while decreasing the hoodie price. From last year’s single-color, unisex hoodie, The Backyard Project has expanded to now include men’s t-shirts, as well as both men’s and women’s full zip and pullover hoodies, and will now be available in more than eight colors – all sourced and manufactured within the U.S.A.
“The Backyard Project is about connecting with local artisans right here in the U.S.A. It’s about knowing which farms grew your cotton, who spun the yarn, or how your product was dyed. We learned a lot during Backyard’s 2014 introduction and challenged ourselves to produce a bigger run of locally sourced clothing this season,” said Sumi Scott, Director of Sportswear, The North Face. The North Face moved the majority of production from the Bay Area to Los Angeles for this edition in order to scale the project. This allowed The North Face to work with small Los Angeles-based businesses including JC Industries and Care-Tex Industries, who represent a combined 118 years of experience in the apparel industry and deep expertise in domestic manufacturing. “The Backyard Project emphasizes the importance of ‘Made in the U.S.A.’ The more that large brands can raise awareness of the potential for domestic production, the more likely the consumer will be to seek out domestically produced garments. It’s great to see The North Face supporting this movement,” says Paul Kang, director of Care-Tex Industries, who dyed The Backyard Project garments this year. Grown and Sewn in the U.S.A.
One hundred percent of the cotton used for The Backyard Project was grown in the U.S.A. The project benefitted from the expertise of American farmers like Jim Olvey of The Natural Hue Company, who has been a cotton breeder for forty years, as well as Ted Sheely, who uses innovative precision irrigation technologies as well as aerial imagery and GPS tractor guidance to maximize yields on the Sheely Family Farm in Stratford, California. The cotton for this year’s Backyard Project was also ginned in California and Arizona and spun into yarn in South Carolina, before being dyed, cut and sewn in Los Angeles. The new Backyard Project line of products will be available in select retail stores and online in the U.S.A. on March 1, 2016. Visit www.thenorthface.com/backyard for more information. The North Face, a VF Corporation brand, was founded in 1966 with the goal of preparing outdoor athletes for the rigors of their next adventure. Today we are the world's leading outdoor brand, creating athlete-tested, expedition-proven products that help people explore and test the limits of human potential. We protect our outdoor playgrounds and minimize our impact on the planet through programs that encourage sustainability. The North Face products are available at premium and specialty retail sporting goods stores globally and we are headquartered in California on a LEED Platinum-certified campus. For more information, please visit www.thenorthface.com.